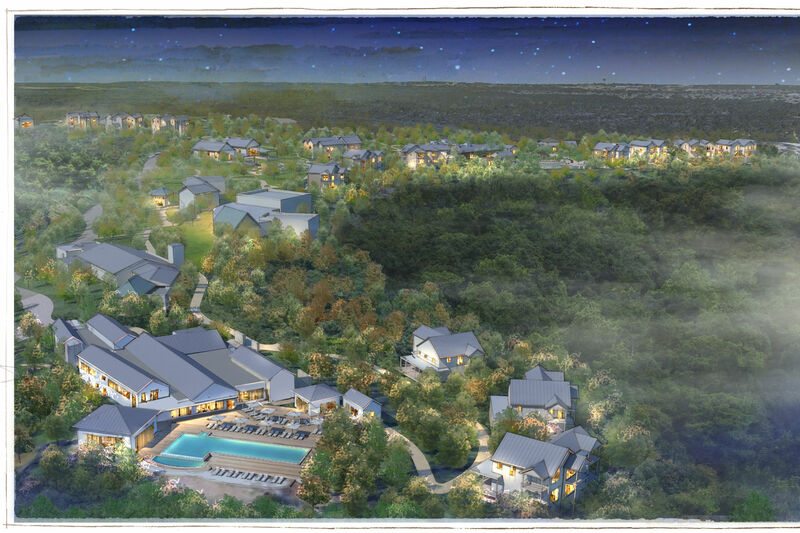 After Barrett established herself as the owner of respected Metroplex-based bakery Dallas Affaires Cake Co., the chef began researching the possibility of purchasing acreage in the Hill Country to turn it into a getaway of sorts—a dream she'd held since her twenties. The quest led her to a place called Dripping Springs, where she encountered rolling hills full of oak and juniper, native wildflowers and fauna such as rabbits, armadillos, raccoons, foxes and white-tailed deer. It’s here that Barrett planted new roots. 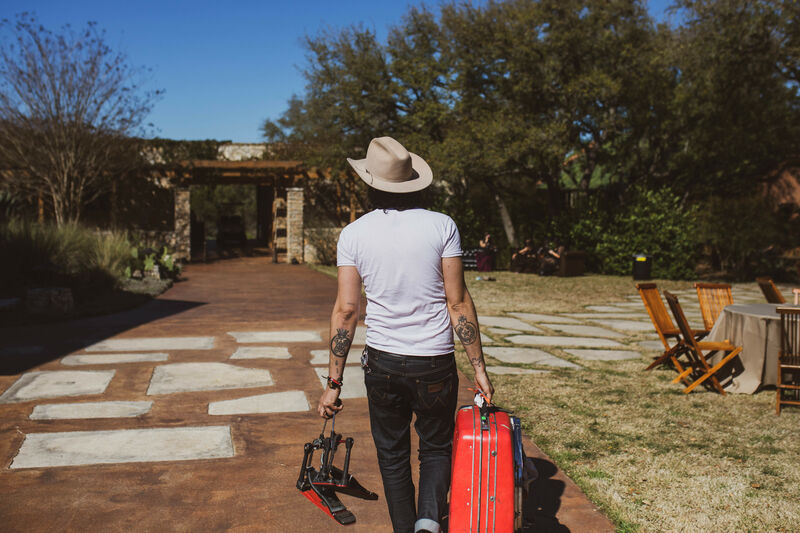 Through the years, the chef's Juniper Hills Farm has become more than just a serene Texas lodge. 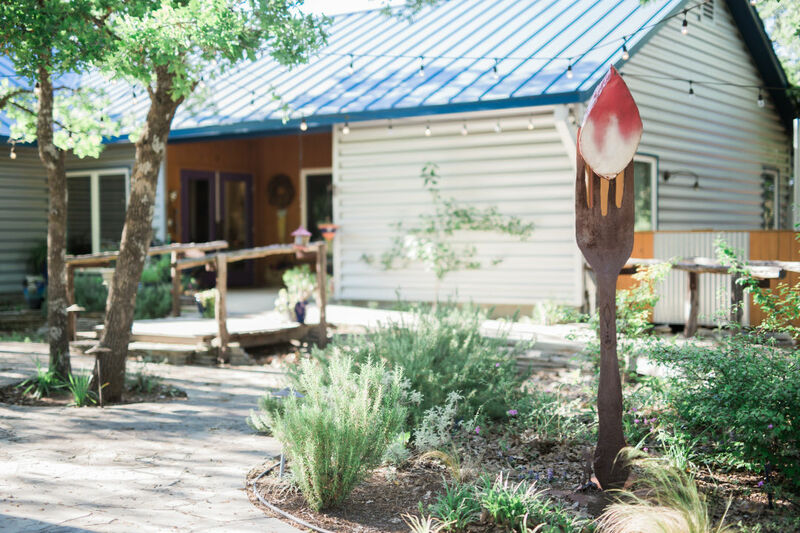 In addition to fostering an environment that caters to rest and relaxation with its cozy casitas, outdoor fire pit, yoga classes, bocce ball matches, massages and nature hikes, Juniper Hills Farm has become a culinary destination. It should come as no surprise, however; that’s what you get when a chef is running the grounds. Onion Creek Kitchens is the culinary wing of Juniper Hills Farm. Onion Creek Kitchens—the culinary wing of Juniper Hills Farm—offers a well-stocked calendar of cooking classes that celebrate both a love for entertaining guests and building culinary skills. Think: pie-making classes in the fall, cookbook author visits, Italian-inspired meals, what to do with holiday leftovers, Texas wine tastings and other delicious endeavors. 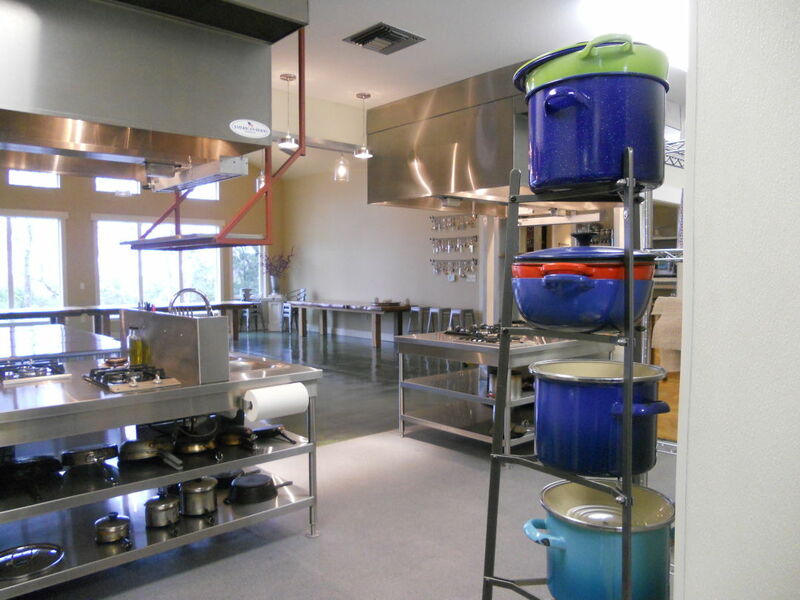 Guests are welcome to use the spacious outdoor kitchen, which is stocked with a plethora of cooking and baking tools. Private culinary events are available as well. In addition to offering both hands-on and observer-only cooking classes, Barrett also keeps her guests’ stomachs full with her picnic basket and in-room tapas menus, which include such decadent options as curried deviled eggs, empanadas, cold lemon fried chicken, strudel stuffed with goat cheese, fig and bacon, strawberry scones with fresh berries and lavender syrup, assorted cheese platters and more. To sweeten the deal, Barrett prepares fresh-baked goods like scones and coffee cake every morning and leaves them outside guests’ doors. The well-stocked kitchen is available for guests' private use. 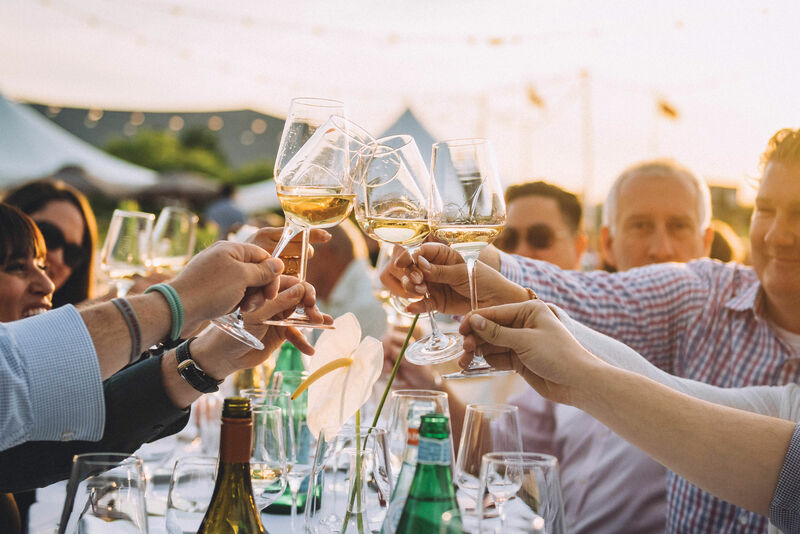 Barrett fervently believes in the power of cuisine and its ability to connect people in a world that has become very divided over various blood-boiling issues, which is why she admires seeing new faces collaborating together every day at Onion Creek Kitchens at Juniper Hills Farm. Onion Creek Kitchens at Juniper Hills Farm, 5818 Farm to Market 165, Dripping Springs. 830-833-0910. Rooms start at $185 per night.